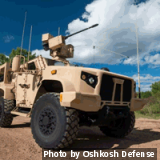 OSHKOSH, Wis. U.S. Army officials placed an additional order for the Joint Light Tactical Vehicle (JLTV) program with Oshkosh Defense, LLC to deliver 409 vehicles, 1,984 installed kits, 82 packaged kits, as well as related services and support. The order is valued at an estimated $179 million and it's the fourth order since the August 2015 initial award. 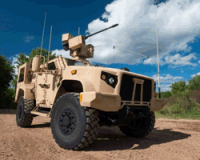 The vehicles and kits for this order will begin delivery in late 2017.